April 2016 is wrenched into an unglamorous spot, coming after two of the biggest comic book film openings of all time and preceding a May that could give us a third. The month is led by three potential off-season blockbusters, with the rest of the field awkwardly divided up among smaller films and pseudo-limited releases. On the plus side, if you like unpredictability, here's a rare month where the #1 film isn't as easy to guess as usual. Disney has grown fond of live-actionizing its near century-long output of animated films, and this adaptation of the 1967 title is as good an idea as any. As with Disney’s Cinderella last year, this is certainly a quality production on all possible fronts: The Jungle Book is helmed by Jon Favreau, who has directed memorable children's films like Elf and Zathura, and whose box office result here may land squarely in between that of those films (so, precisely in between $29 million and $173 million). 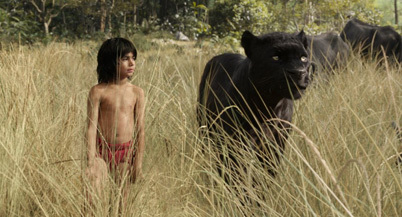 The star is hitherto unknown actor Neel Sethi as the boy, Mowgli, a character who lives in a land presumably far beyond the reach of child services. The film is quietly being sold on its impressive voice cast: Bill Murray, Ben Kingsley, Idris Elba (as the malfeasant tiger, Shere Khan), Scarlett Johansson (as a slinky snake), the always-recognizable Christopher Walken, and recent Academy Award-winner Lupita Nyong'o (for informational purposes, I will note that the last time Nyong'o's real face was actually seen on screen was in Non-Stop, which opened the weekend of her Oscar win in February 2014). Murray's voicing of Baloo the bear seems to be the main attraction here, with the bear's gelatinous upside-down bodice prancing about in a lake seeming to be the big money shot in the trailer. The scheduling for this children's entertainment also seems to be just right: by the time Jungle Book opens, we'll be a month and a half post Zootopia, and more than a few weeks before anything particularly appealing to this demographic. And speaking of timing, fortune favors the film another way: for one reason or another, there's a rival Jungle Book film opening next year, and the upcoming Tarzan movie seems close enough in the ballpark to mention, so Disney ought to be commended for getting there first.